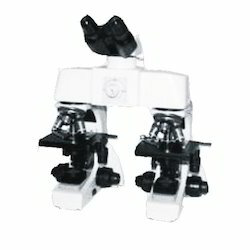 We are leading manufacturer, exporter and trader of Comparison Microscopes (One type of Industrial Microscopes). We are instrumental in offering Forensic Comparison Microscope that are made using quality proven components. Offered microscopes are also inspected on different stringent parameters of quality to ascertain that industry laid standards is duly followed. 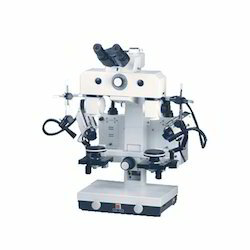 These microscopes are easy control and offer superior performance. The offered products are light in weight, compactly designed and offer longer functional life. As a quality centric firm, we are presenting a wide array of Comparison Microscope. Our offered range of microscopes is fabricated by utilizing the superior quality fabrication material and high end technology. Available with us in various standard specifications, these products can also be provided in customized options also to suit the needs and demands of our valuable customers. Apart from this, we are providing these units at pocket friendly prices.